Our Pro-Tite™ (TCP) serves as an economical dual function closure which can be used as either a cap or as a plug. These tapered polyethylene masks provide a secure fit, yet are easy to install and remove. Used to cap tube and hydraulic fittings, tube ends, and pipes or as a plug for threaded holes, openings, fittings, and ports. Protects part from contamination and debris during handling and storage. 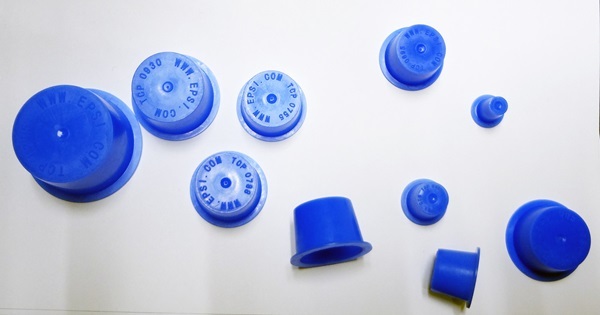 EPSI’s Pro-Tite™ (TCP) serves as an economical dual function closure which can be used as either a cap or as a plug. These tapered polyethylene masks provide a secure fit, yet are easy to install and remove. Pro-Tite™ (TCP) functions effectively as a cap for tube and hydraulic fittings, tube ends, pipes and for protection from contaminants and debris. It also serves well as a plug for threaded holes, openings, fittings and ports. Pro-Tite™ functions well both for masking during the coating process and for protection during material handling.